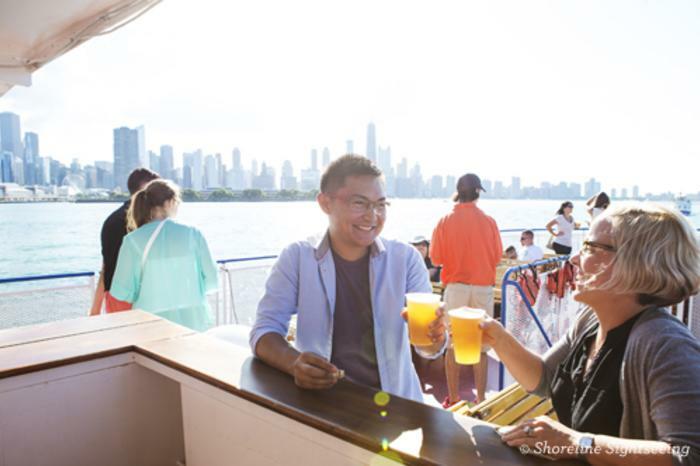 For a fun twist, hold your next Chicago corporate event on the water. Chicago is all about Lake Michigan and its stunning skyline views. 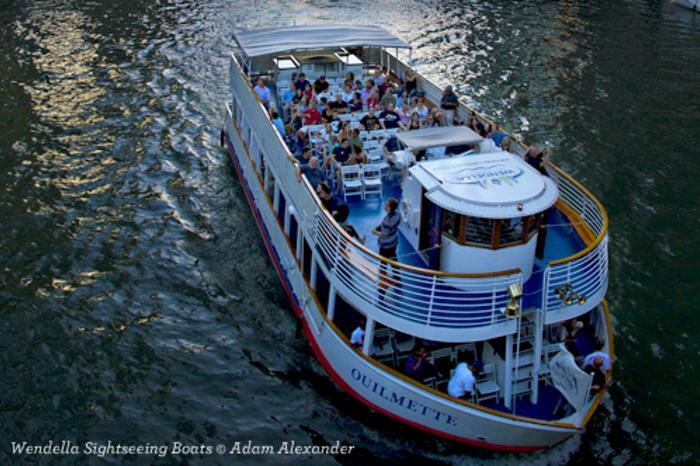 So why not combine the two and plan to hold your next Chicago corporate event on the water? 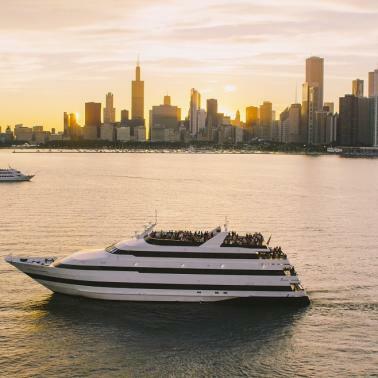 From a private charter on an old-fashioned sailing ship to a dinner cruise on a sleek yacht complete with a dance floor, you’re sure to find the perfect Chicago boat cruise to host your next creative corporate event. 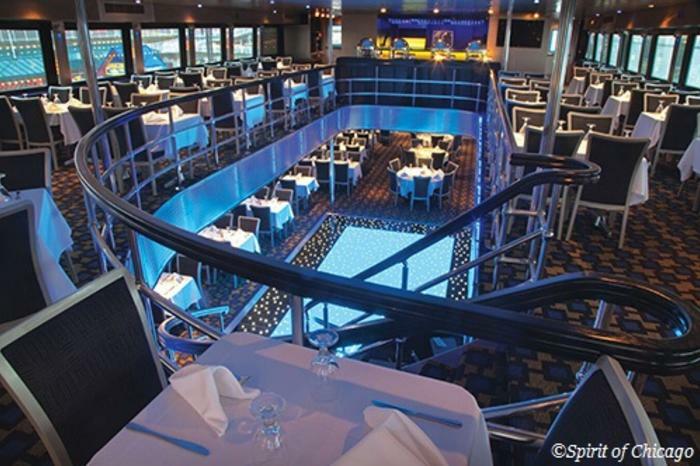 Plan an exclusive party on one of two elegant yachts that are docked at DuSable Harbor on the Chicago River. Anita Dee I can accommodate 135 guests, while Anita Dee II has a capacity of 400 people. You can chart your own course and choose from a preferred list of caterers and entertainment that ranges from a dance band to a live DJ. Bonus? 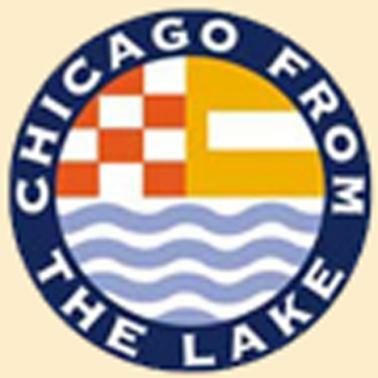 You can arrange to board the ship directly from the dock at McCormick Place! Call 312-379-3919 or email info@anitadee.com. 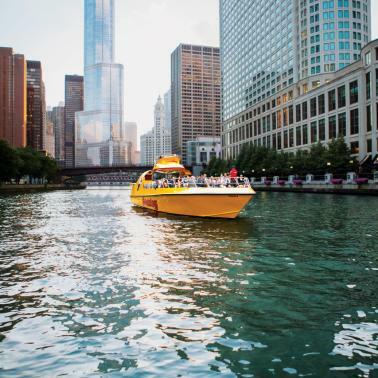 Take your next team-building activity out on the water with Chicago Line Cruises. 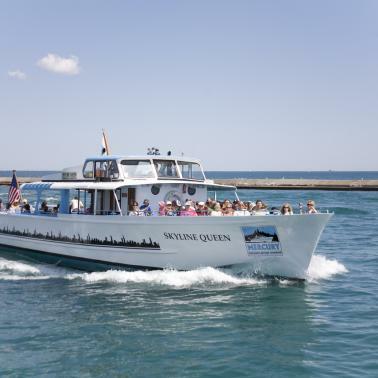 Charter one of three vessels for groups of 20-170 and explore the city as you ply the waters of the Chicago River and Lake Michigan. Choose a caterer to provide anything from appetizers to a full meal and make your event even more special with a live jazz band or a docent who can provide colorful narration. Call 312-702-0794 for more information. You’ll have the pick of your own private yacht to host a party for 2-250 people on Chicago’s First Lady. 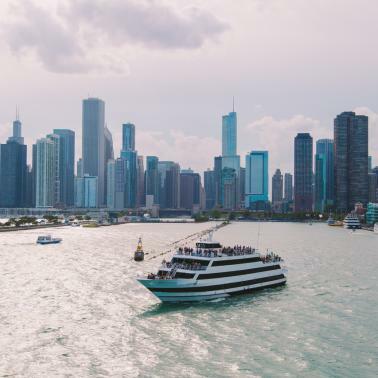 Choose a Chicago River or Lake Michigan cruise (or both), where your guests can take in the amazing blue water views from the spacious open-air top deck or down below in a climate-controlled cabin with huge picture windows. Choose from one of Chicago’s First Lady’s preferred caterers to create a custom menu for your group. To check available dates, call 847-358-1330. Cruise in style aboard a private yacht with a capacity of 150 guests. Plan a convention event or employee outing aboard this sleek yacht that offers sensational skyline views from both the dining and outdoor decks, as well as the cocktail lounge. Boarding and cruise times are flexible, and you can fully customize your own menu and beverage package. For more details, call 888-289-8833. 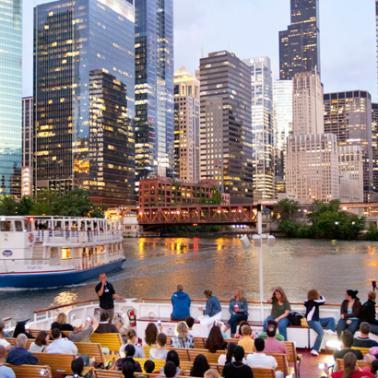 Book your group for the Evening River & Lake Cruise and see the glittering night lights of the dazzling Chicago skyline. This 90-minute tour departs at sunset, so your party gets to see the city’s dramatic transformation from day to evening. The tour is accompanied by live commentary on Chicago’s storied history and everyone on board gets a fun light wand. Call 312-332-1368 or email grouptours@mercurycruises.com. 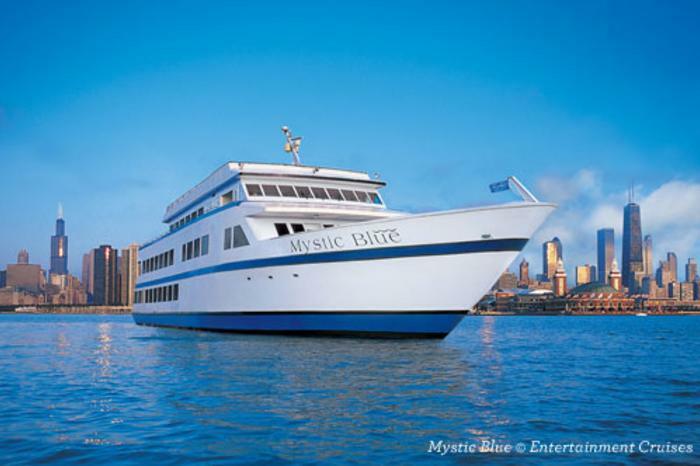 Reserve the upper deck or the entire ship and set out for an exciting corporate event on Lake Michigan aboard Mystic Blue. 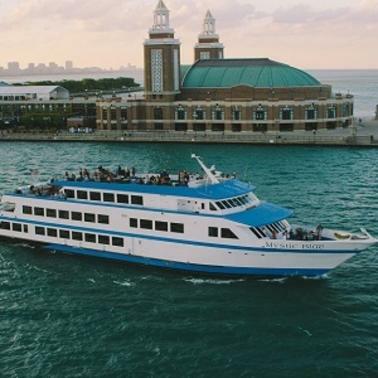 Sailing from Navy Pier, Lake Michigan is your playground for a lunch, brunch or dinner cruise for up to 600 people. Choose from a pre-set cruise package or customize your own. Contact an Event Planner at 877-299-7783. 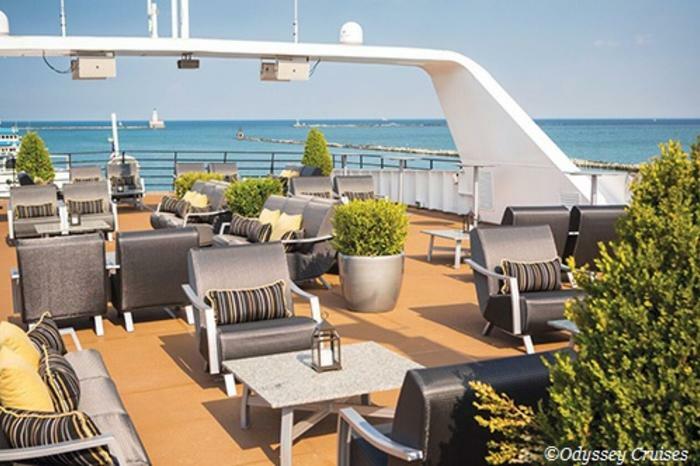 Choose a private deck or full ship charter for your next corporate event aboard Odyssey. Create a custom package tailored to meet the needs of a business luncheon, networking event or dinner party for up to 700 guests. Cruise in the day or evening with the Chicago cityscape as your dramatic backdrop. Cruises depart from Navy Pier on Lake Michigan. Contact an Event Planner at 866-305-2469. 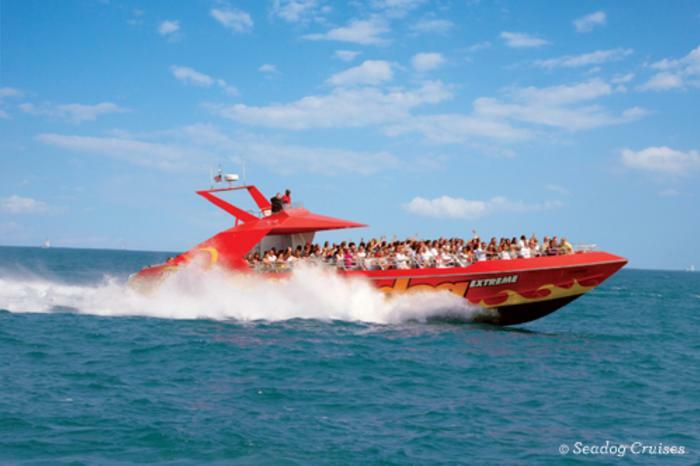 For a high-energy corporate team-building event, charter a Seadog speedboat cruise. 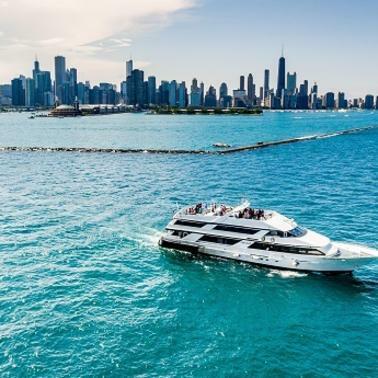 Take a leisurely cruise with a cocktail in hand along the Chicago River, then kick it into high gear on Lake Michigan, where the Seadog transforms into a thrill ride as it speeds along the waterfront. 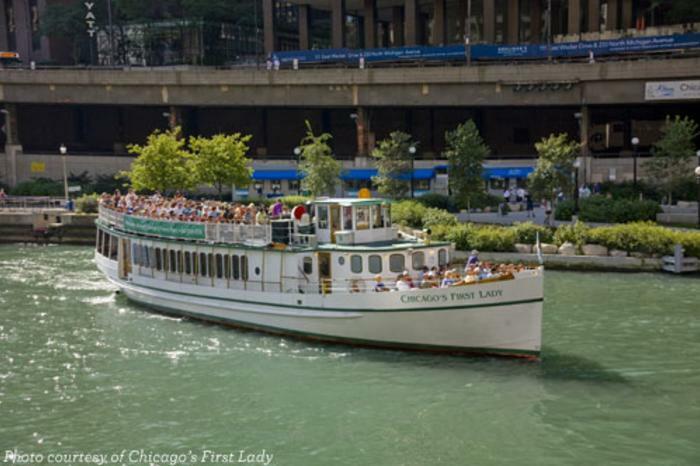 Groups can board at Navy Pier or Seadog’s remote Marina City dock. Call an Event Planner at 888-636-7737. In operation since 1939, Shoreline offers its elegant boats for charter for corporate events and cocktail parties, including the four-season Celebration. 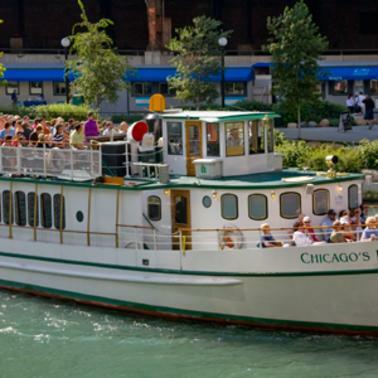 Vessels can accommodate 50-200 guests, and depart from Navy Pier. Your event can include a full-bar, a menu from a premier caterer and extras such as a live band or architecture tour guide. 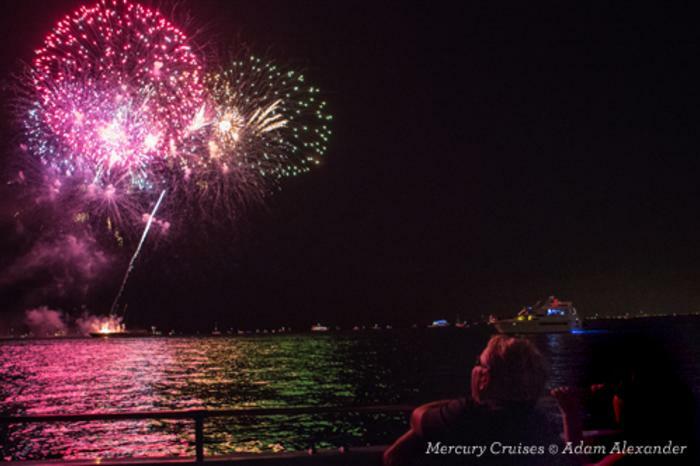 Or plan an outing on one of Shoreline’s many special event tours, including fireworks cruises on Wed. and Sat. evenings during the summer. For more information, call 312-222-9328. The fun-loving Spirit of Chicago is the perfect venue for awards dinners and new product launches. Customize your own menu or choose from a pre-set plated meal or buffet. Spirit is known for its lively DJ-driven music that gets the dance floor thumping. Or guests can head to the upper deck and enjoy the panoramic city views. Combine a history lesson with your chartered event aboard this traditional 148-foot-tall topsail schooner that was modeled after a Great Lakes trading ship. The cruise can include maritime storytelling about Lake Michigan’s notorious pirate history, along with live music. Food is typically set up buffet-style in the grand salon and a full bar is available. Tall Ship Windy shoves off from Navy Pier and can accommodate up to 150 guests. Choose from one of two Wendella vessels to host a chartered corporate outing or cocktail cruise (a water taxi is also available for group transportation). Board at one of Wendella’s many downtown docks on the Chicago River, then set out toward the cool blue waters of Lake Michigan to enjoy the spectacular skyline panorama. Wendella boats can accommodate 25-275 guests, with food provided by a preferred caterer or one of your choice. 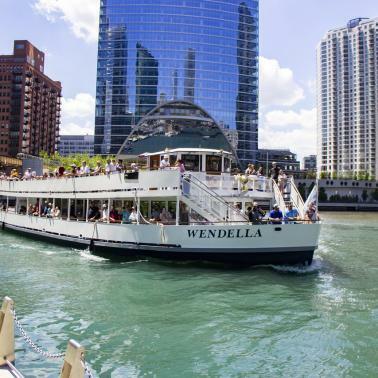 Contact Wendella’s Private Events Department at 312-205-4047 or events@wendellaboats.com.